Aizawl, Sep 14 : The youth wing of the Zoram Nationalist Party (ZNP), a political party of Mizoram, has alleged that villagers of Lailapur in Assam's Cachar district have encroached into the neighbouring state. The president of ZNP youth wing, Lalmuanpuia Punte, told this correspondent today that the Lalilapur gaon panchayat in contravention to the agreement had allowed a few villagers to cultivate land inside Mizoram territory. "The villagers from Assam also built farm huts on the land, which belongs to Mizoram. Everything was done under the supervision of the Lailapur gaon panchayat," he alleged. A delegation of the ZNP youth wing yesterday visited the Assam-Mizoram border and took stock of the boundary demarcation between Lailapur and Vairengte in Mizoram's Kolasib district. 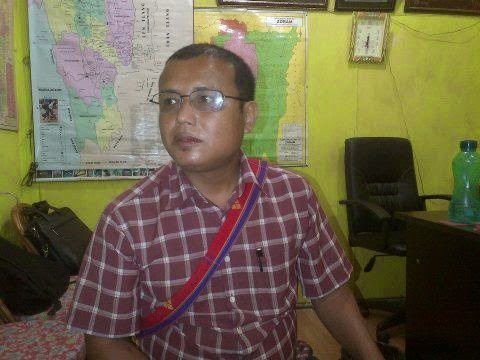 Punte said they met Cachar deputy commissioner S. Viswanathan last evening and discussed with him the prevailing condition on the border and briefed him about the reasons behind the frequent inter-state border conflicts. The delegation also met the liaison officer of Mizoram House here. The ZNP youth wing submitted a memorandum to Viswanathan and urged him to take necessary steps to prevent the violation of the agreement. The memorandum said Cachar and Kolasib deputy commissioners some years back had signed an agreement according to which no activities are to be carried out on the disputed land. Sources said tension flared up on Wednesday when the Mizoram environment and forest range officer visited the interstate border and destroyed the farm huts built inside Mizoram territory in Vairengte. The same day the forest range officer of Dholai in Cachar district also paid a visit to the border. Later, they held a meeting in which the Assam forest officials said they were not aware of the cultivation being done by the villagers inside Mizoram territory.